Okay. It’s May. Have your New Year’s Resolutions been long forgotten? Did you forget your health goals already? Time to get back on track! 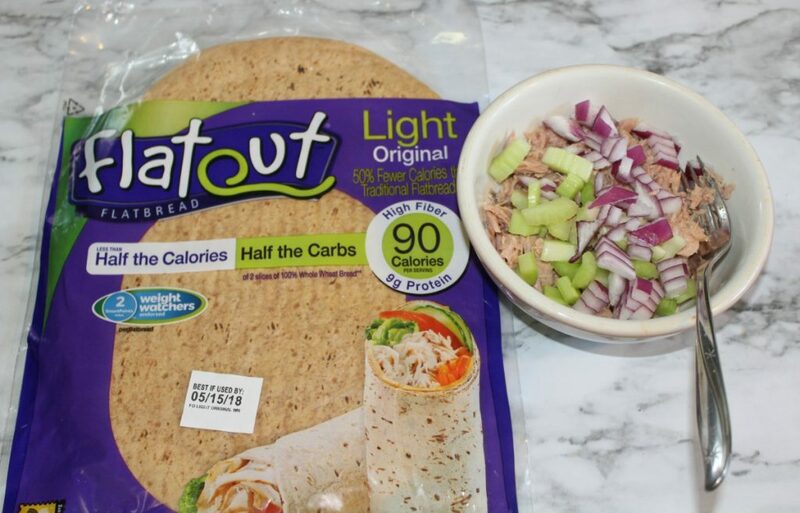 I’ve got a great tuna wrap recipe for you, and I’m sharing a few yummy Weight Watchers® endorsed foods that you can find at Walmart. The new Weight Watchers Freestyle™ program with zero Points® foods, along with products like the ones in this post, make choosing what you eat easier. What are your health goals? I have been seriously slacking over the winter, but now it is time to put the focus back on my health goals. 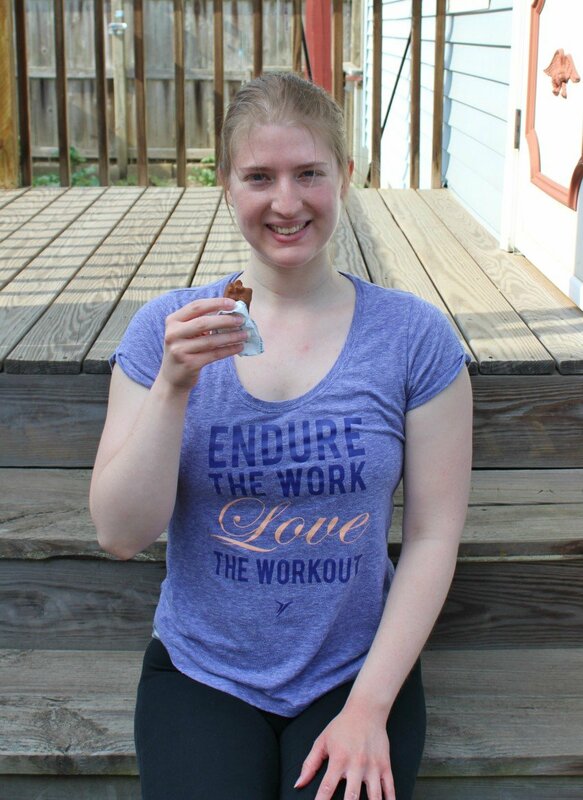 My health goals might not be the same as yours, but that is okay! 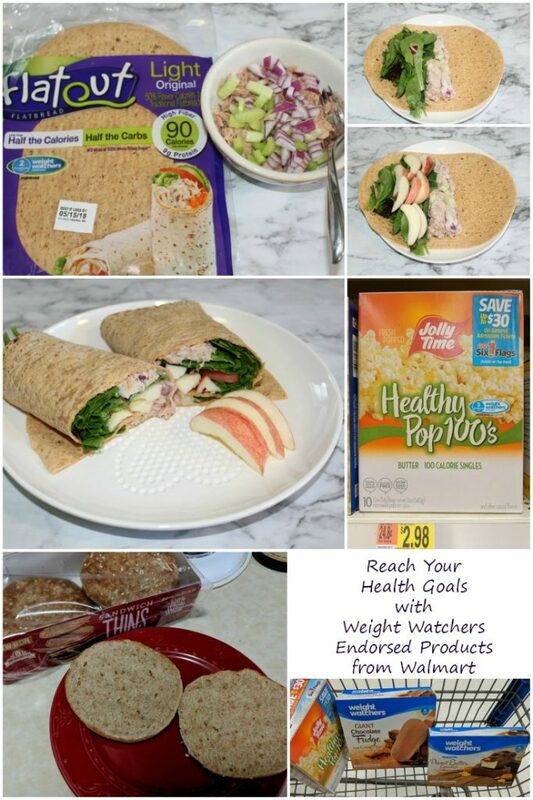 Weight Watchers endorsed foods can help us all reach them. I don’t know about you, but I have an issue with snacking. Unless something healthy is convenient for me, I will not reach for it. If you’re like me, you want a snack right away. 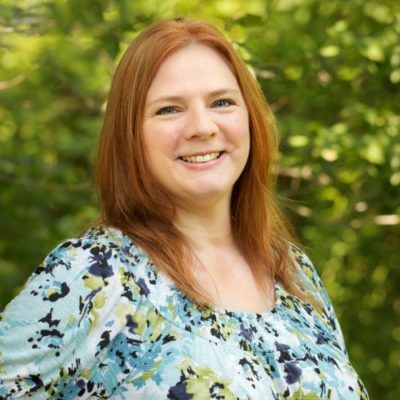 I found Weight Watchers endorsed products at Walmart that are great for a grab and eat snack. 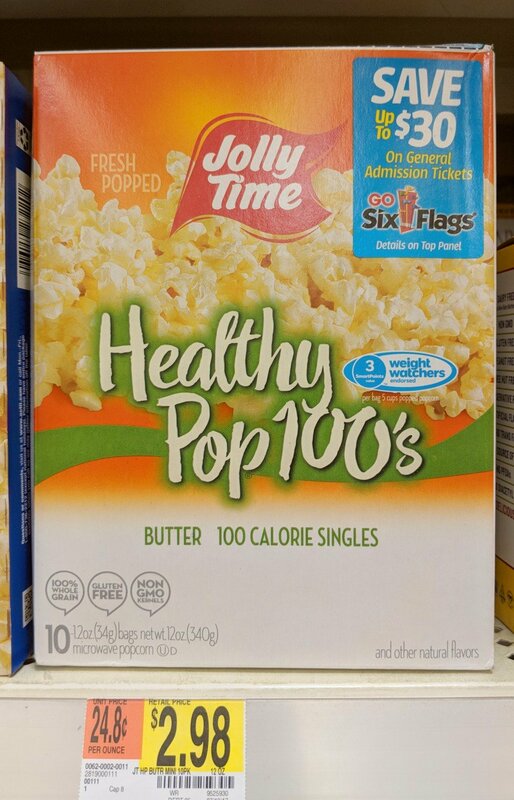 JOLLY TIME® Healthy Pop® Popcorn endorsed by Weight Watchers is great for when you are craving something crunchy and a little bit salty. Did you know that it’s the only popcorn that is Weight Watchers endorsed? That’s because it is perfectly portioned controlled in 100 calorie mini packs. It pops up light and fluffy and delicious. It’s Non-GMO, Gluten free and has 3 SmartPoints® value per serving. 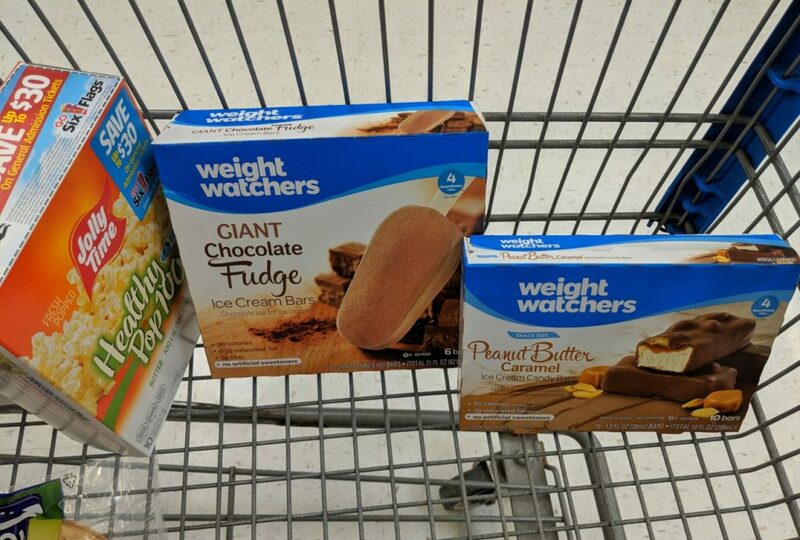 When you want something sweet, you have choices with Weight Watchers Ice Cream Novelties. These Giant Chocolate Fudge Ice Cream Bars and Snack Size Peanut Butter Caramel Ice Cream Candy Bars are so good! They come individually wrapped for portion control and they’re made with low fat milk. You wouldn’t think you’re only using 4 SmartPoints when you indulge in one of these. These aren’t the only varieties available, but they were the only ones at my Walmart at the time. I can’t wait to try more. With summer coming, I know I’ll be craving more ice cream! Oh, who are we kidding? I am always craving ice cream! It’s a good thing I can get these at Walmart. Sandwiches are my go to lunch. 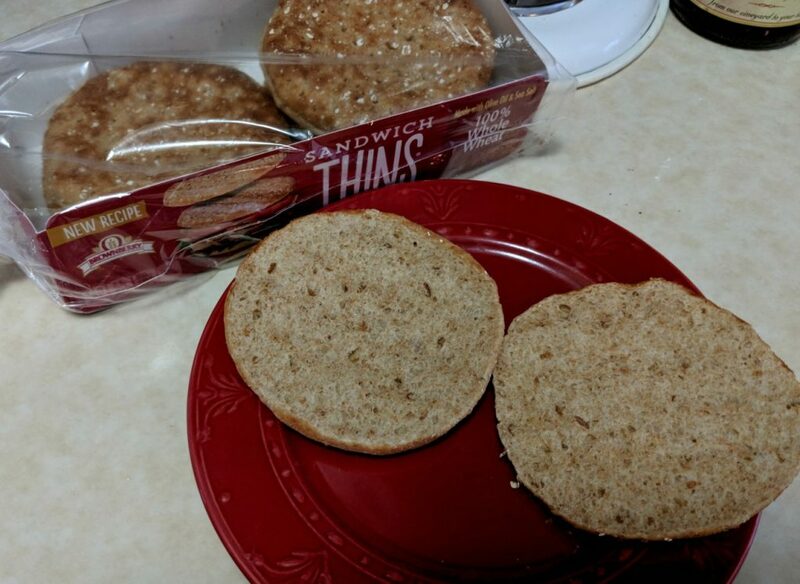 These Brownberry Sandwich Thins are a great way to have a sandwich without using a lot of your points. Each roll is 3 SmartPoints. They’re a great source of fiber which means you’ll feel fuller longer. 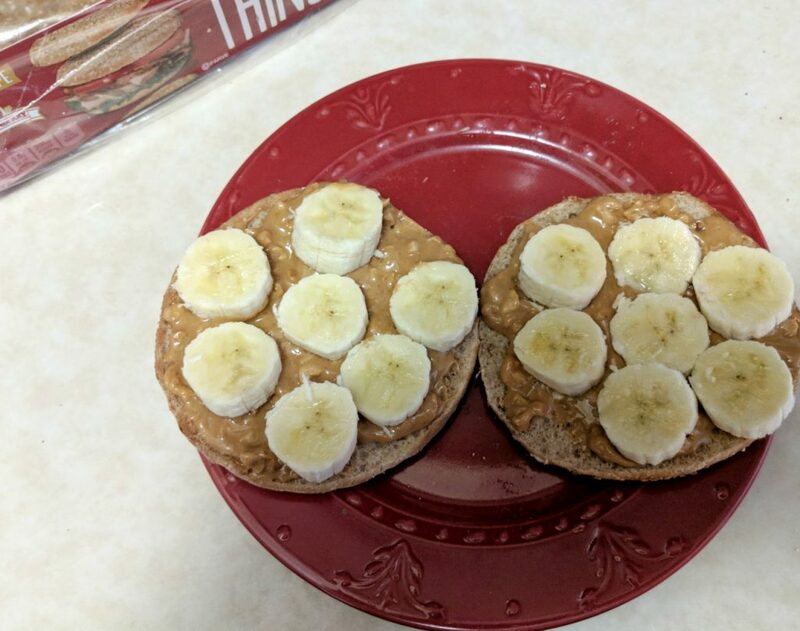 I made this sandwich with natural peanut butter (nothing but peanuts) and a small banana. Delicious! 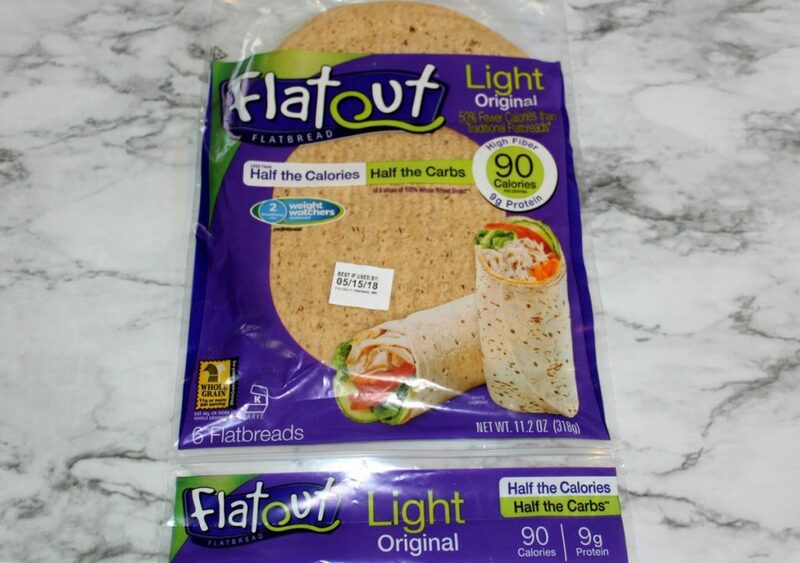 I’ve been using these Weight Watchers endorsed Flatout Flatbread products for a long time. They are really tasty and filling because they’re high in protein and fiber. You can use these for a variety of recipes like pizza and wraps. 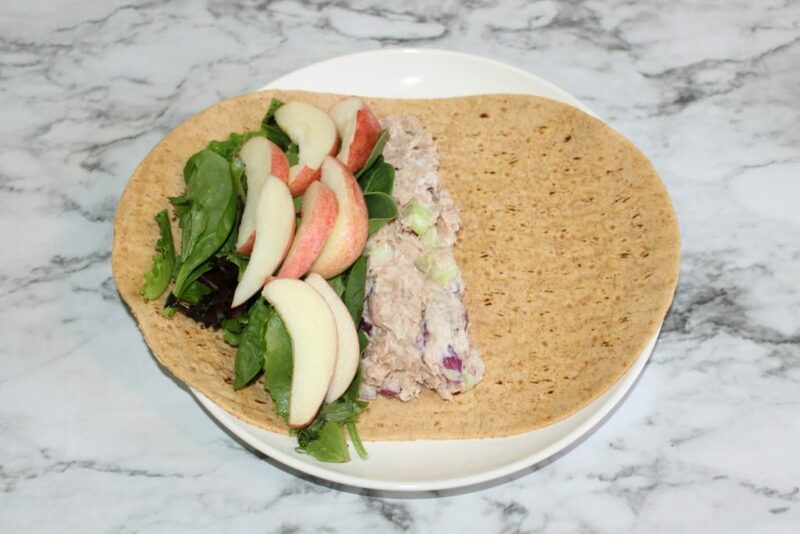 This tuna wrap recipe is filling and healthy. Instead of using mayonnaise, use Greek yogurt and you’ll save a lot of calories. I used one can of tuna in water (drained), a half stalk of celery and about 2 T. of red onion for this. Then I added about 2 T. of Greek yogurt and mixed it together. 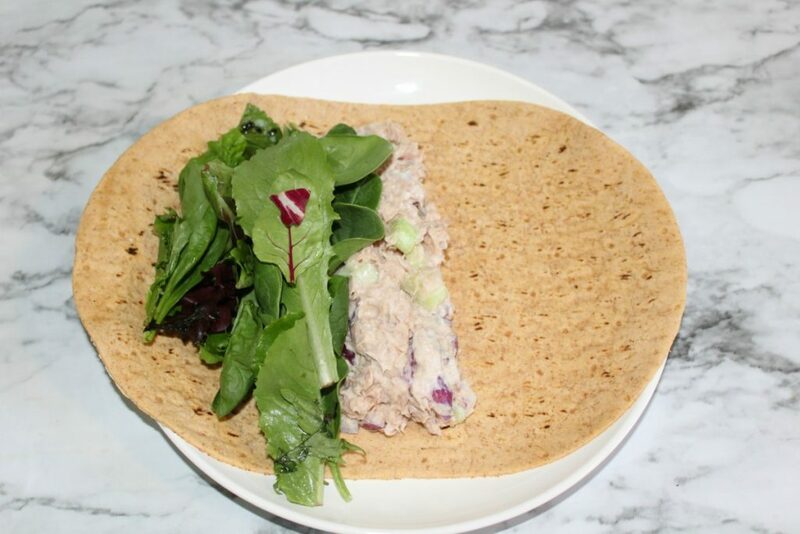 I spread it in the middle of the wrap and added some mixed greens. 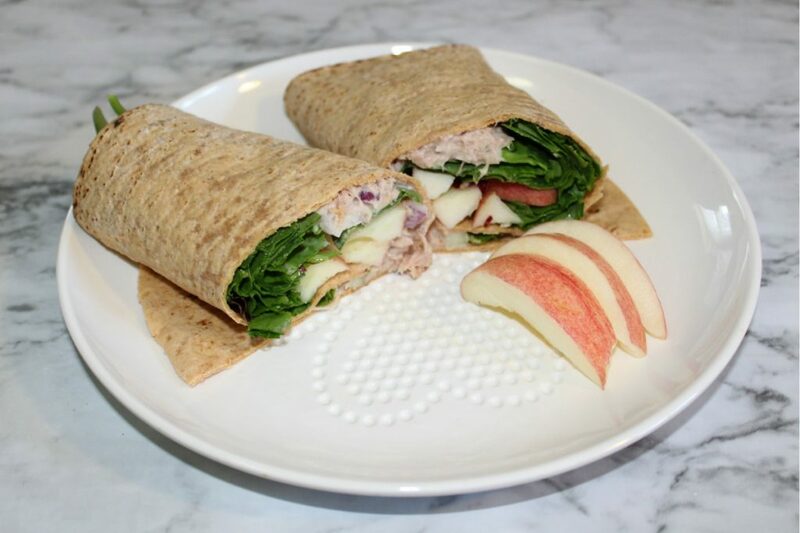 Finally, I sliced up half of an apple to add some sweetness to my tuna wrap.